GOOD NEWS: Last week I got to see my friend George Menzelos of Arianna Trading Company. 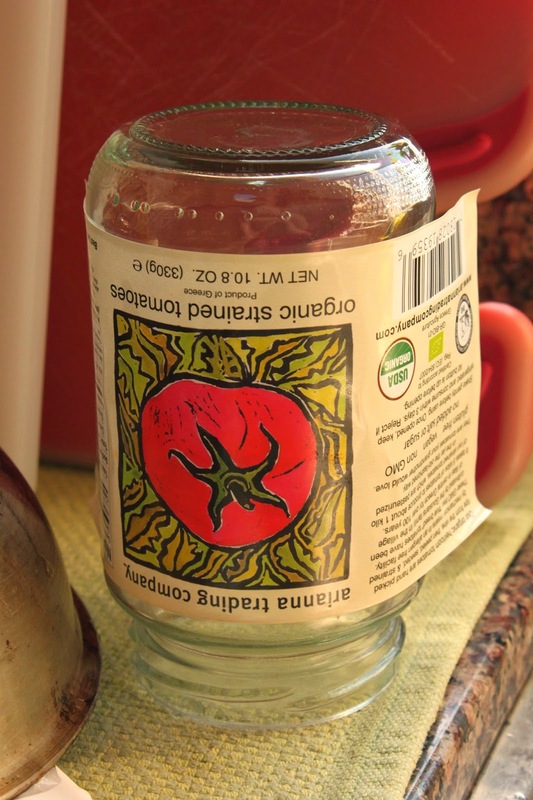 George has been importing the most beautiful single-estate organic olive oil from Greece for a few years now, and this year he's also bringing in organic tomatoes, currants, and a sesame herb salt. George left me samples of all his products to inspire my cooking and, we hoped, a blog post or two. BAD NEWS: After George's visit, I got buried in work, both for a new client and for Not Ketchup. A few days after I saw George, I was stuck in my home office until after 10pm. I didn't even have time to make dinner for my family. GOOD NEWS: My 15-year-old son Emery decided to make dinner. He cooked up penne pasta with a rich tomato meat sauce. Emery even brought a bowl down to the office for me. GOOD NEWS: That was the most delicious bowl of pasta I've ever eaten - not only because my child made it for me (what mother could resist the charms of that?) but because the tomato sauce was sweet, thick, and intense. BAD NEWS: I hadn't taken any pictures and we'd eaten all the pasta. Hard to write a blog post without pictures. 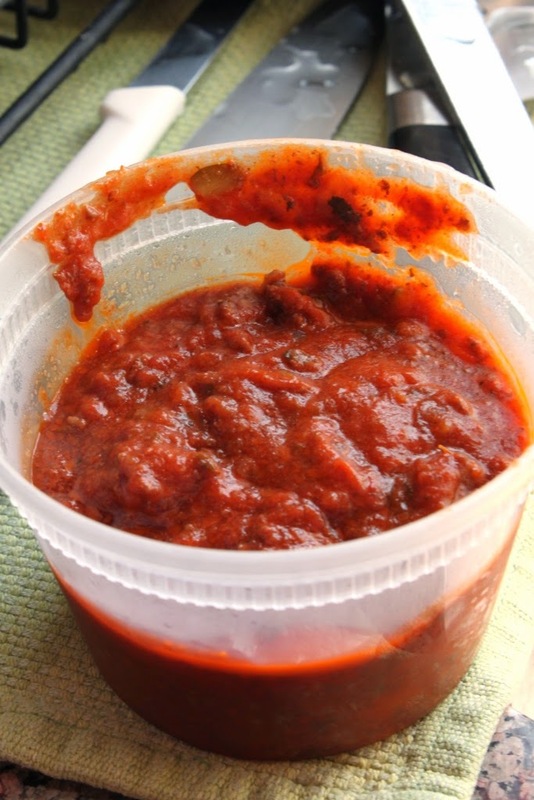 GOOD NEWS: I found some leftover sauce in the refrigerator, so I photographed that instead. It was so delicious that I ate it the next day straight from the plastic container with a spoon. Cold. GOOD NEWS: See the line above about "the most delicious bowl of pasta I've ever eaten." 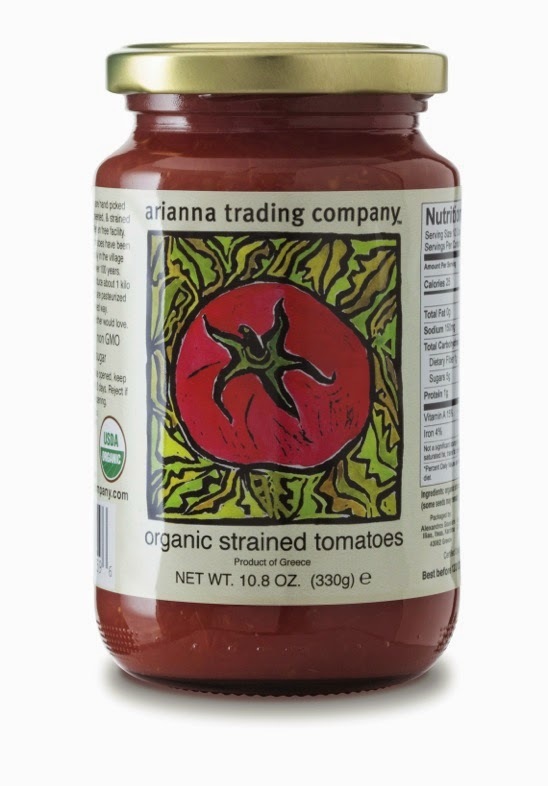 Our organic heirloom tomatoes are hand-picked ripe from the vine, then peeled, seeded, and strained by mechanical means in an allergan-free facility. These GMO-free "true breed" tomatoes have been cultivated by the Gousiaris family in the village of Ilias in central Greece for over 100 years. It takes 5 kilos of tomatoes to produce about 1 kilo of our strained tomatoes, which are pasteurized in the jar the old-fashioned way. They are tomatoes your grandmother would love. CONCLUSION: Emery's pasta was indeed a happy accident. I'm thrilled that I'm no longer the only cook in the family, but clearly I need to get better about labeling the food in the refrigerator if I need to keep it for blogging! I have done the same...eaten the sauce cold, with a spoon, standing in front of the fridge! I need to get some of that sauce! These sound heavenly! I am with you on children cooking. My 8 y.o. has always been lukewarm about scrambled eggs. But I taught her how to cook them herself & now she's not only an egg-chef but egg-eater! I'll have to look for this product - sounds like a perfectly tasty work-night wonder!